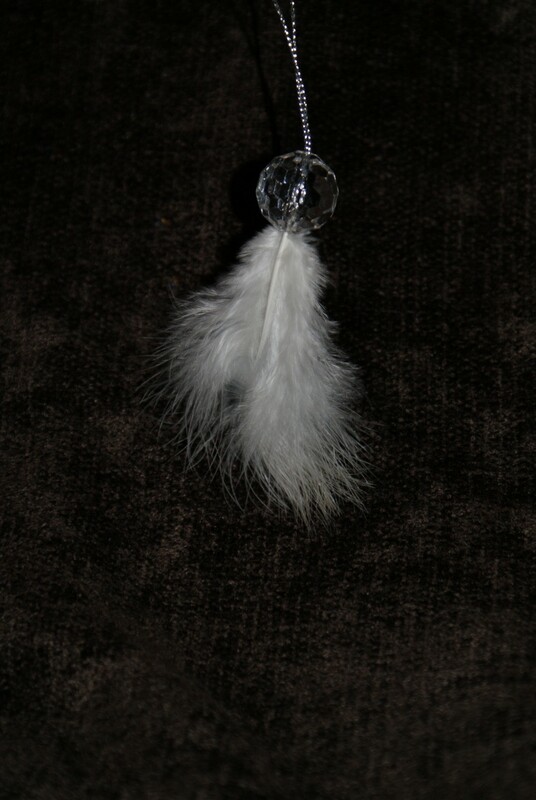 Home / STORE / Hanging Decorations / Prism Feathers. 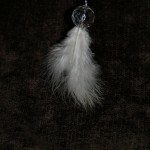 Hanging from silver thread is a clear crystal drop, from which soft white feathers cascade. Approx 10cm high.